This series of posts explore strategies for building an ethical organization. One of these strategies is to hire the right people. It’s important to remember that there’s a limit to how much an organization can influence the ethical conduct of its employees. If an employee is not ethical when hired, they are unlikely to become ethical because of something that happens at work. There are different theories about the age at which a person’s ethics is set, although it is clear ethics is set in early adulthood at the latest. 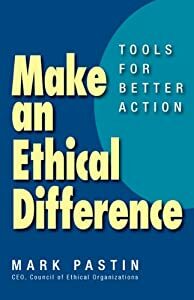 The idea that you can begin ethics training with employees at all stages of their careers and somehow make them turn out to be ethical is wishful thinking. Instead, you need to hire people who are likely to be ethical. One approach is to encourage employees to self-select whether they will fit the ethics of the organization. One high-tech organization shows prospective employees a video on the organization’s ethics before it allows them to complete an employment application. They have found that some employees don’t bother to apply as a result. Interestingly, the company also attracted more of the employees it otherwise sought. An organization can tailor any of several widely used survey and screening instruments that have some validity. While the ability of a survey instrument to pick out the most ethical employees is limited, employees who are ethically clueless are likely to stand out. Often, just letting your recruiters know that ethics is an important consideration in your organization’s hiring process will produce results. Tell them that fit with organization’s culture will be important factor in finding the right candidate and you may at least screen some unethical candidates out – for example those who lie or exaggerate on their resumes.